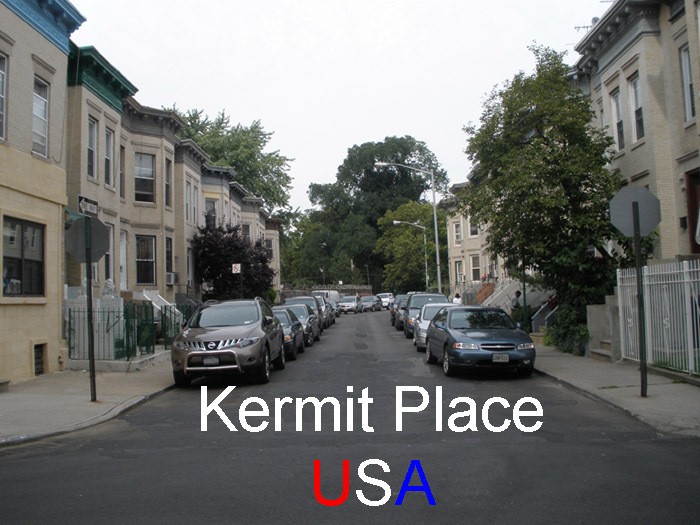 Kermit Place is a small, quiet, crooked street that spans all of 2 blocks in the Kensington neighborhood of Brooklyn. Kermit Place is within steps of Prospect Park, Greenwood Cemetery and the "Parade Grounds". The Kensington Stables are right next door on Caton Place and provide a home for the horse lovers in Brooklyn.